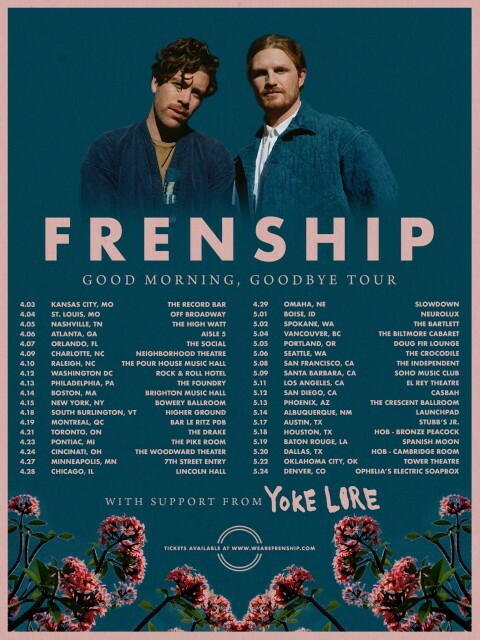 LA-based FRENSHIP is a power duo. 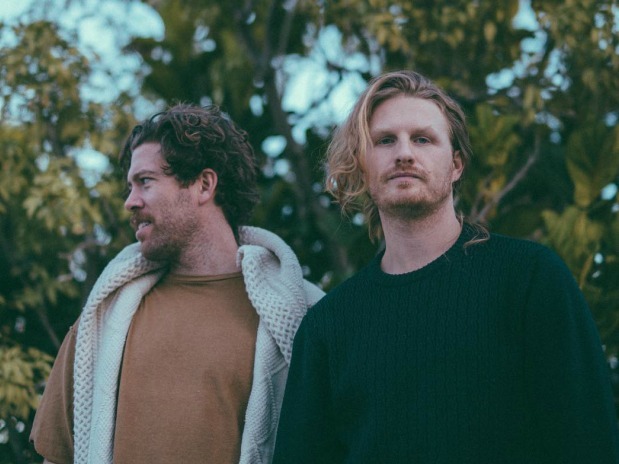 After earning nearly 500 million streams on Spotify for their major hit "Capsize (ft. Emily Warren)," they're back today with their new single, "LOVE Somebody." When following up a song of that caliber, an artist could easily feel crippled with self-doubt, but James Sunderland and Brett Hite came back with complete grace and ease. The new single is unforced, it feels like a natural progression that fits in perfectly with the rest of the duo's catalogue. The band isn't trying to make another "Capsize," but this fresh and catchy sound is enough to keep them around. "It was a great moment for us but we try not to think about it too much as we release new music," the band told Baeble. We had the chance to ask the exciting group a couple of other questions, which you can see below. I'm sure you're asked this all the time, but… Your single "Capsize" was huge. Did you feel pressure when the time came to follow it up with a new single? Well now we do! It's obviously in the back of our heads, but "Capsize" is in the past. It was a great moment for us but we try not to think about it too much as we release new music. Did you ever expect such a big reaction to that song? Was it an overnight type of thing? Definitely not. We knew it felt good, but we couldn't have predicted it would take off the way it did. We'd been plugging away at music for a while and were pretty exhausted at the time of releasing "Capsize." In a last ditch effort, we tossed a little bit of PR money at it and it hit number one on Hype Machine, found its way on to New Music Friday and eventually Today's Top Hits (big thanks to all the Spotify folks). It took off from there. Can you take me through the writing process for this new single, "LOVE Somebody"? We were up in Ojai, CA for a writing retreat at the time. It was pretty much hike, drink tons of coffee, and write every day. Towards the end of the trip our wonderful producer/writer friends Nick Ruth and Steph Jones joined us. Like most of our songs, we don't force the entire idea to come out in the first day. We basically had the chords, pre chorus, and chorus worked out in that first session. We revisited the idea after they left, knocked out some verses and returned to the song a few months later to finish it. We try to give songs enough space to breathe so we have a fresh set of ears when they get revisited. You're going on tour in the spring. Which city are you always most excited to hit? It's always nice to play in our hometowns of Spokane and Denver but we're excited to hit all of the cities. Any city with fans of ours feels like home. Have any tour anecdotes we'd find funny? Too many to tell, but here's one: a certain unnamed member of FRENSHIP dropped down for a guitar solo and ripped the crotch of his/her pants. That happens more often than you'd think. When can we expect another EP? Or is a full length on the horizon? We'll be putting out a lot of music the rest of the year. Lots of singles and a body of work or two coming towards the end of this year.